Ocean Park Conservation Foundation (OPCF) has established their own seahorse survey in the eastern waters of Hong Kong since 2011, with aims to document the number, species diversity, size, and distribution of seahorses (Hippocampus species) in shallow coral communities and adjacent areas. A total of six individual seahorses, comprising one male and five females belonging to one species, yellow seahorse (Hippocampus kuda), were observed at two diving sites in Sai Kung waters during a recent survey conducted by OPCF. 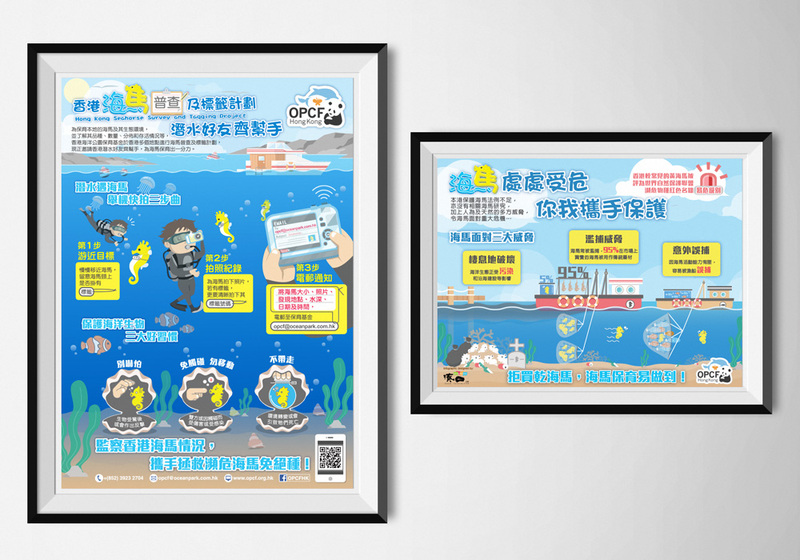 Let’s see the infographics we created to have more details about the project and the tips for seahorse conservation. 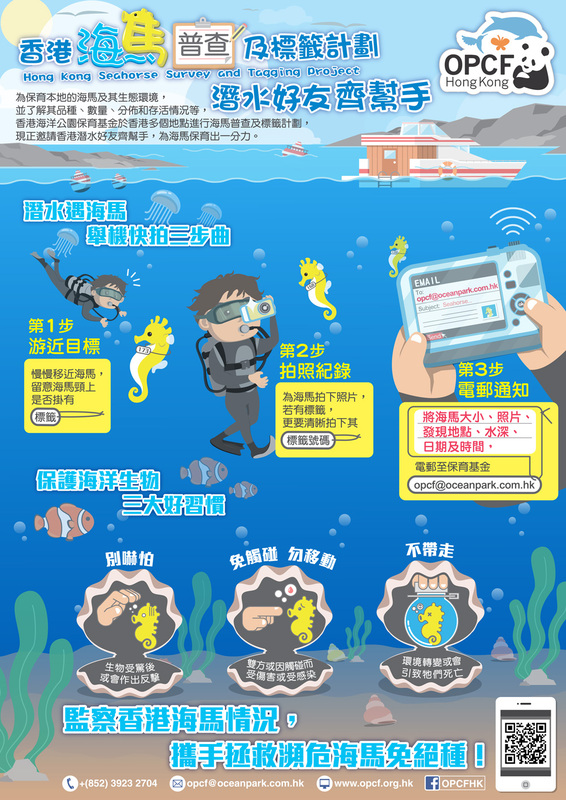 This infographic was created to invite local surfers to help report where they see any seahorse while out in the ocean. The posters are distributed to local surf and boat shops. 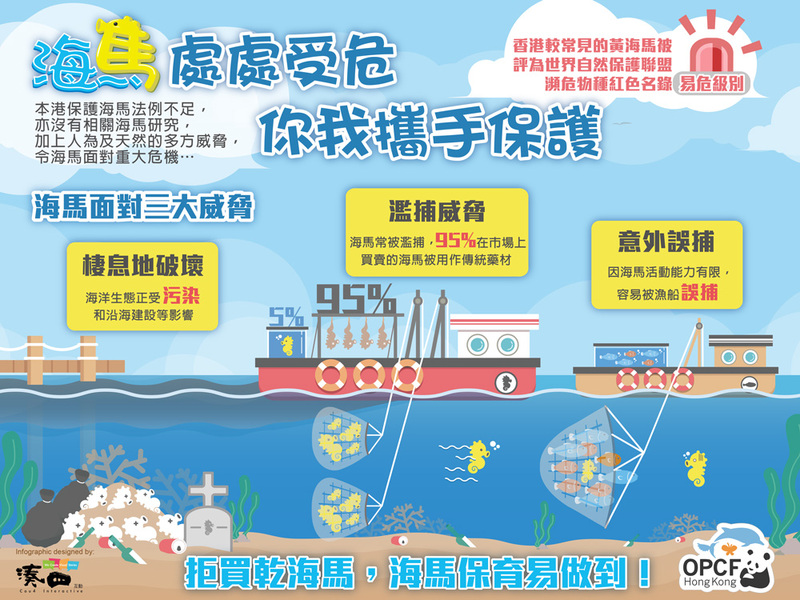 This infographic aims to raise public awareness of seahorse conservation by introducing the major threats to seahorse, and promote the idea of stop buying dried seahorse. The infographic was published on social media for public education.